and my Avatar (Lucifer Morningstar).. This is my philosophical counseling avatar. A classic beginner avatar, which I might change from time to time. Through my avatar in Second Life I offer philosophical counseling and cafés (or just interacting as such) – and I´m in this way using Second Life as an experimental analogy to central aspects of my teaching Meditation as an Art of Life, for example The Matrix Conspiracy and Dream Yoga. As a virtual personification of this I have given my avatar the name Lucifer Morningstar, and is describing him as a Dungeon Master, Ghost Rider and Hell Preacher. He lives in Venice, Italy, and is traveling/biking through space and time and other worlds with numerous fantasy elements including steampunk, supernatural beings and magic. In this way my avatar functions as my alter-ego (he even has his own blog where he is posting stuff I really hate– click here). My profile on Second Life – click here. The users of Second Life are of course aware, that they are in a virtual (unreal) world, but they differ in how absorbed, fascinated, they become over the possibilities in this world. The Danish documentary My Avatar and Me, is a creative documentary-fiction film, and a film that might expand your sense of reality. It is the story about a man who enters the virtual world Second Life to pursue his personal dreams and ambitions. His journey into cyberspace becomes a magic learning experience, which gradually opens the gates to a much larger reality. Mikkel Stolt - is a troubled and unsuccessful documentary filmmaker, who decides to create a new identity, and join the pioneers and settlers in the virtual world “Second Life” on the other side of his computer screen. He chooses the name Mike Proud for his “avatar” and starts off with a typical off-the-shelf standard body. Shortly after his arrival, a mysterious and influential woman named Helena picks him up and takes him under her wing. Helena gives Mike a complete makeover, and turns him into a sophisticated avatar, equipped with all the animations he needs to interact with the most advanced users of Second Life. Mikkel is very attracted to Helena, and extremely curious to find out more about her, but she refuses to meet him in real life and her true identity remains a mystery. Helena introduces Mike to Rob, a professional filmmaker who works for BBC in his real life. They become friends and decide to go into business together. The business thrives as Helena uses her in-world influence to pave the way for Mike’s career. Mike truly enjoys his new status as a popular member of the Second Life jet set, but Mikkel’s real life is gradually falling apart. He is spending more and more time in front of the computer screen, bleary-eyed, sleep-deprived and out of touch with reality. When his long time girlfriend decides to break up their relationship, it doesn’t really affect him. All he can think about is his virtual career, and Helena, who has become more important to him than his real-life family and friends. 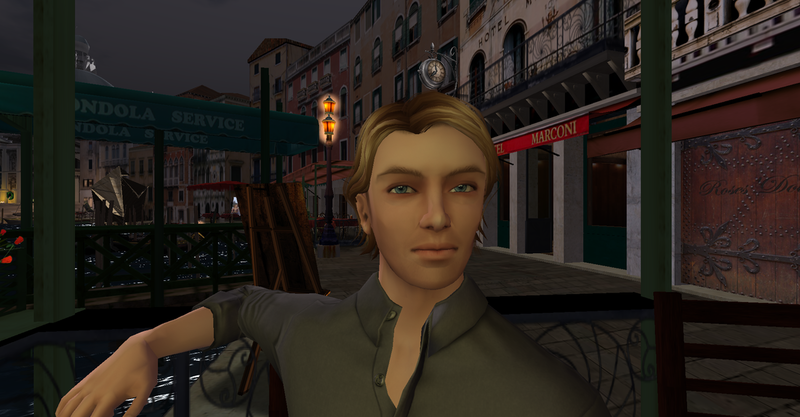 When Helena suddenly departs from Second Life, Mike’s virtual world starts to fall apart. The moment she terminates her Second Life account, Mikkel knows that he has thirty days to watch everything he has accomplished in the virtual world literally vanish forever. The painful experience of losing his business empire and the love of his “second life” sets Mikkel on a different path, and gradually the gates to a much larger reality start to open. His search for Helena brings him to a mysterious Island named Akasha, where he finds the gateway to a parallel world inhabited by mysterious light-beings. The light-beings promise him that he will be re-united with his lost love, but first he needs to carry out a mission, which includes a journey to the Mountain of the Long Now in Nevada, USA, where the legendary computer scientist Danny Hillis is building a monumental mechanical clock - designed to keep time for the next 10.000 years. The background for the word Matrix, used in my context, is the movie Matrix (the word Matrix is actually a mathematical concept, which is too complicated to be explained here). In our time it is the very popular to compare the consciousness with a computer. Among others in the supporters of the new materialism, which the development of computers with still more extensive programs, neural networks and so on, have been a source of inspiration for. For instance the American philosopher Daniel C. Dennett, who in his book - with the ambitious title Consciousness Explained - seeks to explain consciousness, partially through computer analogies, partially through neurology and psychology. Within cognition psychology the so-called ”information processing theory” has been dominating for a number of years. In this theory is focused on the ”inner psychic” processes looked on as symbolic information processing in analogy with the processes which happens in computers. Both in Eastern and Western philosophy they have always worked with the so-called Dream Hypothesis; the philosophers have always reflected over, whether life is a dream. These philosophical questions have always followed them: whether we sleep, whether we dream this long dream, which is life? How can we know that life not is a dream? How can we know, that we are not lying sleeping somewhere, dreaming the whole world? The philosopher René Descartes created his own variant of the Dream Hypothesis, the Argument of the Evil Demon: How can I know, that I am not decepted by an evil demon concerning all realization? In the discussion about the reliability of our realization you often meet a variant of Descartes´ Argument from the Evil Demon. The variant (the so-called Brain-in-jar Hypothesis) says as follows: Some day surgery will have reached so far, that you will be able to operate the brain out of a human being and keep it alive by placing it in a jar with some nutrient substratum. At that time the computer research will perhaps have reached so far, that you will be able to connect a computer to such a brain and feed it with all kinds of data, so that the brain thinks that it is a human being, who lives in the real world with all the experiences, memories etc., this is implying, while the fact is that it only is a brain in a jar (read more in my article The Dream Hypothesis and the Brain-in-jar Hypothesis). It is this hypothesis the movie Matrix is based on. Here humans are used as a kind of batteries (slaves) for machines, that get their energy by supplying them with a virtual reality, while the fact is, that they only are lying sleeping in a jar, giving their energy away. There certainly exist computer scientists, who think, that you can understand the consciousness as ”soft-ware” and the brain as a ”hard disc” - (Neuro-linguistic Programming (NLP) is for example very close to this thought – see my article Neuro-linguistic Programming (NLP) and Large Group Awareness Training (LGAT)) - and that you in very few years will be able to decode a human being for its whole content of consciousness, immediately before it dies, and therewith provide its soul an eternal life – admittedly on a discette, but what the hell, it is after all always better than to pass into nothingness, and the discette will after all be able to be played again and again. I don´t talk about people as batteries for machines, but as batteries for an ideology: The Matrix Conspiracy. It is a fact, that we today see an ideology behind the democracy, where true spirituality, philosophy and science systematical are seeked destroyed; that is: the destruction of the best tools Man has in his love of visdom, and quest for truth. The main theory of this ideology is relativism. There both exists an individual version of relativism, and a collective version. The individual version is called subjectivism. This version is often connected with a right-wing individualized liberalism. The other version is a collective relativism, cultural relativism, which often is connected to a left-wing socialism. However both are common in distorting both science and human rights. Both are demanding “alternative” views of science, and for example also human rights. And both are introducing intellectual apartheid in different ways, by seeking to eliminate critical thinking. To teach people this, is the main job of what I call The Matrix Sophists. The relationship between the Sophists (teachers of rhetoric) and Socrates (the philosopher) is the central issue in the whole of Plato´s work (see the introduction to my book A Dictionary of Thought Distortions). My claim is that we today are facing a new kind of Sophists, namely The Matrix Sophists. The Matrix Sophists are a common term for the tens of thousands of consultants, coaches, practitioners, identity-experts, therapists, sexologists, educators, teachers, social workers, spin doctors, psychotherapists and psychologists, who all share the ideas of The Matrix Conspiracy; that is: some kind of mix between postmodern intellectualism (subjectivism/relativism), management theory, self-help and New Age. But their message about that we can´t come out of the dream/the thought construction/the Matrix, is in opposition to the message of the movie The Matrix, which is, that we should create a rebellion, and try to get out of the illusion – in the same way as they is true spirituality are trying to get people out of their illusions. In that way you can say that the new Sophists are the “machines”, or the rulers of the Matrix, which keep people as slaves. In order to make changes in your dreams (illusions) it is necessary, that you in your awaken life support the work of the energy-laws in the dreams. This is a part of what is called Dream yoga. If you therefore begin to practise being in the Now, and flexible (critical) thinking, you can exempt the dreams from having to contra-balance imbalances and finish unfinished situations, what will give an ever increasing feeling of freedom. But first after many years of spiritual practice, will the continuous supporting exercises, by themselves, begin to penetrate, first the dream life, and later the deep, dreamless sleep. 1) In the dreams you begin to practise the continuous supporting exercises the same way as in the awaken daily life (about the supporting exercises, see my book Meditation as an Art of Life – a basic reader). 2) Dreams, which become lucid and the, to this responding, most suitable practice. 3) The dreams´ consciousness becomes astral and the, in relation to this, most suitable practice. 1): That your spiritual practice at all reflects itself in the dream life, is a beneficial sign in your total effort. In the moment of falling asleep you simply begin to train relaxation and Hara practice. Moreover you remember to write the dreams down when you wake up. Later you can experience, that you in a dream suddenly begin to practise. 2): Lucid dreams are dreams, in which you know, that you are dreaming. There are many different causes to, that there can arise lucidity in dreams, for example stress conditions or illogical circumstances, or that you watch yourself in a mirror, or so-called flying dreams. You discover that you can alter in the dream as you like. To use lucidity to different experiments is therefore an understandable temptation, but basically without spiritual content. When you know that you are dreaming, while you are dreaming, the dream is called lucid. The word lucid means luminous, and the name is referring to the unusual clarity, which is in such dreams. The lucid dream is a little more awake, a degree more awake, than an ordinary dream. Such dreams can therefore be said to be a state between dream and awake, however still more akin to dream. Normally the Dream Self is not distanced from the dream scenario. To know that you are dreaming is due to, that a part of the Dream Consciousness separates you from the immediate identity with the scenario and content of the dream. The phenomenon is analogous with meditation, or neutral observation. In neutral observation there are two functions. The one is the observer, who separates himself from the stream of thoughts. The second is the neutrality that neither says yes or no, considers or comments. When dreams become lucid, then it is analogous with the activating of the first function: the segregation of a Dream Witness, an instance, which knows that this is a dream. As a rule the mind in this situation then gets catched by the new, creative possibilities, which are lying in the lucidity. You can transform dreams as you want and have fantasy to. You can fly through walls, walk on water and wish yourself to other planets etc., etc. Dream Yoga is about, that if a dream becomes lucid, you add – from the habit with meditation in the waking practice – the second function, namely the neutrality, that just – in dreams – to observe and not control, intervene or in other way interfere in the dream´s own stream. If both factors are active in dreams, there is no functional difference between awake neutral observation and dreaming neutral lucidity. According to experience there are a couple of dream situations, or elements, which favour the rise of lucidity, for example stress, illogical situations, etc. Furthermore it is possible to train lucidity in dreams; there both exists ancient Tibetan ways, Shamanistic ways and new American ways. In spiritual practice however, you neither ought to train or worship lucidity. What on the other hand is appropriate is to use lucidity for Hara practice; that is, that you in the lucid dream focus your awareness in Hara, and therewith looks into your self, at the same time as your are observing the dream. In this way the dreaming awareness changes accent from the dream production, from the content of the dream to the dreaming awareness itself. The most suitable training in lucid dreams is therefore to begin to practice the continuous supporting exercises. Second best, but however still excellent, is to seek towards light, which brings you closer the lucidity and thereby the Source. Alternatively to seek towards a spiritual teacher, or in lack of a such, to seek towards a person of wisdom, archetypical understood. But best is to begin to practice the supporting exercises. 3): The astral ”dream state” can evolve spontaneous, or evolve out of the lucid dream. In an astral ”dream state” you know, that you are lying in the bed in this chamber and are sleeping, alternatively dreaming. In the lucid state you know, that you are dreaming, while you are dreaming. But you dont know, that this happens, while you in fact are lying sleeping in your bed. However in the astral state you also know, that you are lying in your bed sleeping. The sleeping body, the bed and the room is included in the astral ”dream state”. The consciousness is often located outside the body, observing the sleeping body from outside. The temptation to here, either to become afraid, or experiment with various possibilities (astral projection, clairvoyance, telepathy etc. etc.) is huge. You are suddenly Peter Pan. It is a very forceful state. The creativity and the reality creating ability are much more free than in the lucid dream state. However you are still on the collective history of the astral plane, which work fragmented in sequences in past and future, and there is danger for, either that you remain here, in the fascination and the enthusiasm, whereby your spiritual development stops, or that you directly end up in a spiritual crisis. In spiritual practice the most appropriate is again to use the astral state to begin to practice the continuous supporting exercises. For example you can centre the astral consciousness in the Hara centre of the sleeping body, or in the heart centre. If you as a sleeper remember to use such an opening spiritual seen correct, this can give your total development a considerably lift forward. But in order to do this it is of vital important that you examine the nature of lucid dreams and astral states. Let´s therefore look a bit further into it. So, another aspect of lucid dreams is the astral state: astral travel or astral projection (out-of-body experiences). In both ordinary and lucid dreams the dreamer, in the vast majority of cases, is not aware that, and where, the body is lying sleeping. The astral state is characterized by, that the consciousness knows that the body is sleeping and can watch the sleeping body. The consciousness is here located outside the body, floating over the body in a not all too long distance. This consciousness is called the dream body. This special dream body is in other words able to dissociate entirely from the gross physical body and travel elsewhere, and experience the astral worlds of the collective time. One way of developing this special dream body is first of all to recognize a dream as a dream when it occurs. Then you find that the dream is malleable, and you make efforts to gain control over it. Gradually you become very skilled in this, increasing your ability to control the contents of the dream so that it accords to your own spiritual practice. Eventually it is possible to dissociate your dream body from your gross physical body. In contrast, in the normal dream state, dream­ing occurs within the body. But as a result of specific training, the dream body can go elsewhere. An interesting modern computer-analogy to lucid dreaming and astral projection is precisely Second Life. The avatars in Second Life are then of course equivalent with the dream body in lucid dreaming and astral projection. Like lucid dreaming the users of Second Life are of course aware, that they are in a virtual (unreal) world, but they differ in how absorbed, fascinated, they become over the possibilities in this world. The intention with Dream Yoga is in all simplicity about separating and dismantling the identification with your dreams/thoughts, in order to reach into a deeper dimension. You discover that you not are your dreams/thoughts, that there in your innermost exists a pure awareness, which is peace, light and love. The magnet of attraction, which the ego is controlled by – (the ego´s identity with the material world: instincts, sexuality, emotions, desire, collective ideals, dreams, thoughts, ownership, personal power) – will in a true spiritual practice loose its attraction. Investments in the material world´s ups and downs, its demands, temptations and dramas, become undramatized, uninteresting, even meaningsless, in relation to the consciousness´ opening direction in towards its spiritual essence: the now, the wholeness, life itself, and finally: the eternal otherness, from where the good, the true and the beautiful are streaming as grace and forgiveness. This awareness seems to be a quality of the Now, and therefore it is also a quality of life itself (reality). This way you discover, that life itself is to be present in the Now with the whole of yourself, in the self-forgetful openness and devotion to the world. Life itself is therefore love. Your innermost, the awareness, is in this way one with life itself, love. This oneness is the Source: the Good, the True and the Beautiful in itself, not as images. The Source is the unmoved being of the Now. In other words: in this oneness you have your identity in a presence, a presence which both is the essence in yourself, and the essence behind everything else. When you live from this source you are in very deed yourself, you live in accordance with your own essence, and thereby you achieve authenticity, autonomy, decisiveness and power of action. Furthermore you achieve the self-forgetful openness and absorption in the world, which is a condition for love, spontaneity, joy of life and wisdom. Second Life – as well as my philosophical counselling and cafés in Second Life – is therefore an experimental analogy to this training. Dream recall is the ability to remember dreams. Good dream recall is often described as the first step towards lucid dreaming. Better recall increases awareness of dreams in general; with limited dream recall, any lucid dreams has can be forgotten entirely. To improve dream recall, some people keep a dream journal, writing down or recording dreams. The writing down shall happen in the same moment you wake up. Wake-initiated lucid dreams occur when the sleeper enters REM sleep with unbroken self-awareness directly from the waking state. There are many techniques aimed at entering a WILD. The key to these techniques is recognizing the hypnagogic stage, which is in between being awake and being asleep. If a person is successful in staying aware during this stage, that person will eventually enter dream while lucid. Meditation, or training of awareness will improve this ability by itself. Reality testing (or reality checking) is a common method used by people to determine whether or not they are dreaming. It involves performing an action and observing if the results are consistent with results expected when awake. By practicing these tests during awake life, one may eventually decide to perform such a test while dreaming, which may fail and let the dreamer realize they are dreaming. As a part of this training is critical thinking (spotting thought distortions, created by dualistic unbalance, both in yourself and in others). In my book A Dictionary of Thought Distortions, I have made a list over such thought distortions. When you are dreaming, such thought distortions dissolve in images, which can show as extremely complicated visionary scenes of unreality, that are almost impossible to understand. The important thing is, that you in the awake state investigate such thought distortions, and don´t identify with them, whereby you avoid being controlled by them. When you identify yourself with thought distortions, you believe in them; you believe, that they are expressions of valid facts, and thereby they control you. Therefore you should confront yourself with the fact, that the thought distortions not are expressions of valid facts, that they diminish your quality of life and hinders you in using your abilities and potentials. A good exercise in that connection is reality testing. So, these not quite ordinary states in dreams, are caused either by goaloriented conscious training, or for example by near-death experiences, threatening psychosis, shock, high fever or similar dramatic circumstances. In rare cases they can occur undramatically and spontaneous. 1) In order to make the time we spend dreaming more meaningful, we must first recognize that we are dreaming. That is the initial exercise. 2) The next step is called transforming the dream. 3) The third is known as multiplying. 4) The fourth practice is to unify the dream with the clear light. Recognizing, transforming, multiplying and unifying the dream with the luminosity of the true nature: these four outline the essential applications of Dream Yoga. 1) In the first stage, the dreamer is told to become lucid in the dream. 2) In the second stage, the dreamer is instructed to overcome all fear of the contents of the dreams so there is the realization that nothing in the dream can cause harm. For instance, the lucid dreamer should put out fire with his hands and realize fire cannot burn him in the dream. 3) Next the dreamer should contemplate how all phenomena both in the dream and in waking life are similar because they change, and that life is illusory in both states because of this constant change. Both the objects in the dream and objects in the world in the Buddhist worldview are therefore empty and have no substantial nature. This is the stage of contemplating the dream as maya (illusory), and equating this sense of maya with everyday experience in the external world. 4) Next, the dreamer should realize that he or she has control of the dream by changing big objects into small ones, heavy objects into light ones, and many objects into one object. 5) After gaining control over objects and their transformations, in the fifth stage, the dreamer should realize that the dreamer´s dream body is as insubstantial as the other objects in the dream. The dreamer should realize that he or she is not the dream body. The dreamer who has gained complete control over dream objects could, for instance, alter the body´s shape or make the dream body disappear all together. 6) Finally, in the sixth stage, the image of deities (Buddhas, Bodhisattvas, or Dakinis) should be visualized in the lucid dream state. These figures are frequently seen in Tibetan religious art (thangas) and used in meditation. A Western parallel is the use of Christian icons. They are said to be linked to or resonate with the clear light of the void. They can therefore serve as symbolic doorways to this mystical state of being (the Void or clear light). The dreamer is instructed to concentrate on these symbolic images without distraction or thinking about other things so that the revelatory side of these symbols will become manifest (see my article The value of religion and supporting exercises in my book Dream Yoga). According to contemporary Dzogchen teachers Namkhai Norbu, Lopön Tenzin Namdak and Tenzin Wangyal, the perceived reality and the phenomenal world are considered to be ultimately “unreal” – an “illusion” (refer Mahamaya): a dream, a phantasmagoria, a thought-form. All appearences and phenomena are a dream or thought-form, inter- and intra- reflecting and refracting jewels and mirrors of possibility and potentiality, “arising in relationships” or “dependent co-arising” (read more about this in my article A Critique of Ken Wilber and his Integral Method, where I explain dependent co-arising in relation to the Buddhist philosopher Nagarjuna). It is held by these lineages and due to the realizations of the spiritual practice, that the dream of life and regular nightly dreams are not dissimilar, and that in their quintessential nature are nondual. The non-essential difference between the general dreaming state and the general waking experience is that the latter is generally more concrete and linked with attachments, samskara and skandha; whereas, standard non-lucid dreaming is ephemeral and transient, and generally reinforced as baseless and empty. In Dream Yoga, living may become the dream, and the dream may become the living. Progressing the spiritual practice may be metaphorically likened to living the scientific hypothesis of a resolved superposition. The resolved superposition being a mindstream conflation of Dharmakaya with Shunyata and Indra´s Net. The entwined Mantrayana lineages of Nyingmapa, Bonpo, Ngagpa and Mahasiddha are saturated with trance and dream transmissions of teachings, doctrine, etc., etc., that trancend constructs of time, place and space, these are often called “whispered traditions” and terma. Refer lucid living. Also according to this teaching, there is a correspondence between the states of sleep and dream and our experiences when we die. After experiences of intermediate state of bardo an individual comes out of it, a new karmic illusion is created and another existence begins. Taking stock of store consciousness (the Akashic Records – see my article Paranormal phenomena seen in connection with spiritual practice) is the spontaneous perpetuant and fuel of the transmigration process. So, the primary aim and foundation of dream practice is to realize during a dream that one is dreaming. Once lucidity has been established the applications are limitless. One can then dream with lucidity/astrality, and do all sorts of things, such as: spiritual practice; receive initiations, empowerments and transmissions; go to different places, planes, heavens and hells, other planets, both physical and astral planets; dialogue with sentient beings, creatures and people such as guru; fly; shapeshift, etc. In the astral state the creativity of the consciousness is, as mentioned, set even more free than in the lucid dream state. Controlled astral states give, among other things, access to clairvoyance, telepathy and astral travel (astral projection). This has to do with, that time and its images still work fragmented in sequences in past and future, though on a much more fascinating collective/astral level. But in spiritual practice it is of vital importance, that you begin to practice Hara (or other supporting religious/spiritual exercises as in the above-mentioned stage 6), if there should occur an astral state. This consists quite simple in stopping the fascination of the anti-spiritual (ego-based) experiences and their temptations, and instead focus the awareness in Hara, and therewith lead the awareness into your self. This will lead the consciousness towards the more universal images of time, which work in synchronism with the Now. If you remain in, or explore the astral worlds of the collective time, which the astral state gives access to, then you in other words distract your awareness in past or future. This can cost awakenness and life energy, if you not are under guidance of an enlightened master, and can in addition cause Ego-inflation and other spiritual crises (see my article Spiritual Crises as the cause of paranormal phenomena). It is in other words very important that you do not move accent from awake day to dreams and sleep, do not use drugs or one-sided development techniques, which promise you great experiences concerning either lucidity or astrality. You have to have patience. Even for people with a regular and well-ordered practice (2-3 hours every day) there can pass weeks, months or years between the reflections into the processes of dreams and sleep. However if practice is appropriate, the spiritual consciousness will with time automatically penetrate the nightlife´s vegetative forms of consciousness. When one realizes and embodies the doctrine of Dream Yoga, complete realization is imminent and elementary. Namkhai Norbu gives advice, that the realization that life is only a big dream can help us finally liberate ourselves from the chains of emotions, attachments, and ego and then we have the possibility of ultimately becoming enlightened (read more in my article What is Dream Yoga?). James Cameron´s movie Avatar is, with its paradoxical interplay between nature and technology, simple spirituality and greedy materialism, one of the best movies for many years, and it is also, with its provocatice concluding moral, one of the most revolutionary. My fascination of the movie is of course also due to that it contains the most essential elements in my own philosophy, which I call Meditation as an Art of Life. With a sale record on over two billion dollars, and nine Oscar nominations, James Cameron has emphatically ensured his science fiction adventure a prominent place in the history of movies. The movie owes its thunderous success a paradoxical interplay between nature and technology. On one side the viewers are moved by the vigorous moon Pandora and its inhabitants, the Navi, a race of blue, three meter tall noble savages, who live in spiritual and ecological harmony with nature. On the other hand we have the humans, who, with a lot of technology, are on the moon in order to exploit its natural resources for own winning. To this comes the ultramodern animation and 3D technology, which brings the Navi alive on the screen, together with images of Pandora, which are of a beauty seldom seen before in a movie. With this paradoxical interplay the movie touches one of its many fascinating philosophical discussions, that in stunningly way reminds about my own teaching. Man has, with the industrial modernization, has cultivated a mind, which can solve almost any technological problem; that, which the german philosopher Jürgen Habermas calls the instrumental reason. But human problems have apparently never been solved. On the contrary mankind are about to be drowned in its problems: problems concerning communication, the relationship with others, heaven and hell. The whole of the human existence has become one extremely complex problem. And apparently it has been like that through the whole of history. Despite the knowledge of Man, despite his millenniums of evolution, Man has never been free from such problems. The solutions to such problems require a communicative reason, a reason which understand the human community. But as Habermas says, then we are not using such a reason, on the contrary we are using the instrumental reason on human problems, where it only should be used on technical problems. We seek to solve human problems technically, where they should be solved in a philosophical way. The systems (the market, the economy, the bureaucracy) have colonized the lifeworld. 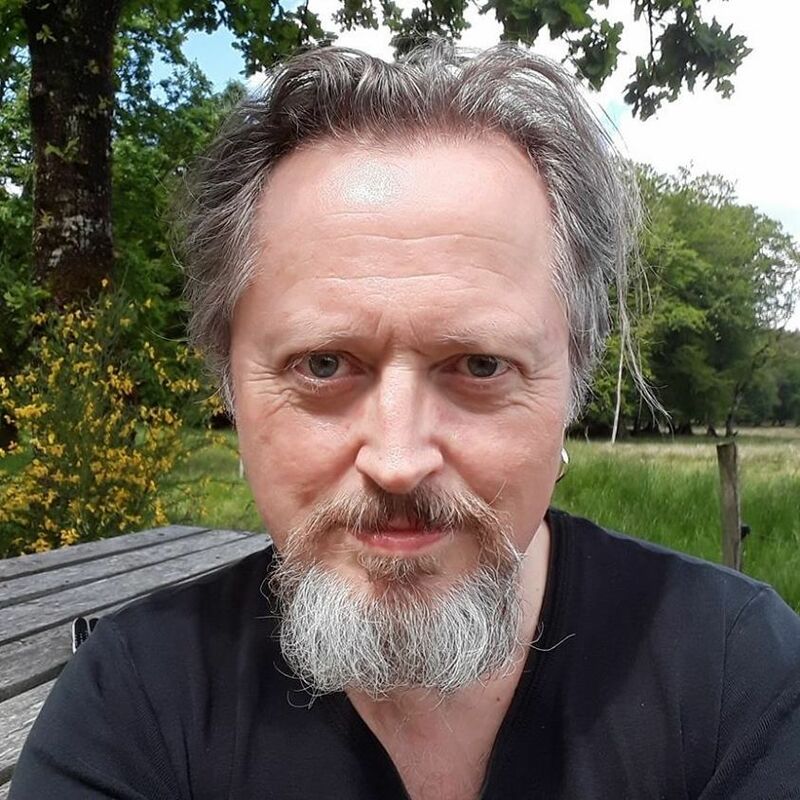 You can also talk about an instrumental and communicative view of nature (see my book A Portrait of a Lifeartist part four: The lifeartist as a natural being, and part five, The lifeartist as a communicative being. The instrumental view of nature is only seeing nature as something causal and mechanical, and as a means for human exploitation. There is no meaning in nature in itself. The communicative view of nature however claims that nature is of value in itself, that there is a beauty and richness in nature, which is of non-causal and non-mechanical kind, and that Man as a natural and communicative being has a community with this nature. So the movie is of interest for environmental activists, who fight for both human rights and environmental rights, and who will save the world through protection of forests and global peace. But the movie is also of spiritual interest. There are some fascinating equal signs with Tibetan Dream Yoga and traditional Shamanism, which not must be confused with New Age though. Dream Yoga is, as explained, a spiritual night practice where you through certain techniques can develop a so-called astral body, or dreambody. With the help of this you can leave your body during your sleep and travel elsewhere, both on this planet and other planets, but also into the so-called astral worlds. These worlds have had many names: it is Plato´s world of forms, the Bardoworlds of the Books of the Dead, the Anabasis of the mystery cults, the image galleries of the Alchymists, the Akashian Archives, the collective subconscious, the dreamtime of the aboriginals etc. etc. The moon Pandora can of course be seen as such an astral world. This focus on dreams as admission to Pandora is no way accidentally, but on the contrary based on Avatar itself. The technological and storytelling clue in the movie is namely, that a new technology anno 2154 makes it possible to grow an artificial body, a so-called avatar, based on DNA from both humans and Navis. You can be connected to the avatar, by the help of certain machines, while your human body is lying sleeping in the machine and is dreaming. By the way you can say that the concept of Avatar original comes from Hinduism, where it designates the incarnations of the god Vishnu, for example Rama and Krishna, who, by the way, are considered as being blue. So the main character, Jake Sully, could be seen as an incarnation of Vishnu. The deity of the Navi is called Eywa. Again this reminds about a lot of spiritual traditions - and with a communicative view of nature. It is a balancing energy or consciousness, which is in everything. It is a holistic concept, and because the wholeness is a reality then all parts of this wholeness are defined by each other. If there is put too much energy in one part then this unbalance will be contrabalanced by the energy´s swing over in the part´s opposition. We for example know this from the Chinese philosophy of Yin and Yang. Now, if we take the growth fanatism and ego-fixation that characterize the humans of today, then this Ego-extreme is reflected in countless fields. Too much energy is invested in armament; too many atomic weapons; too much pollution; too unequal distribution of the riches of the Earth; too unequal distribution of the food and fruits of the Earth. And first of all: too many people are too focused in their Ego; they accumulate energy to their Ego, to oneself; or to the family Ego; the company's Ego; the national Ego. So, the provocative moral of the movie is, that we, like Jake Sully, must become some kind of philosophical rebels or spiritual anarchist, and give up the ideology, which our society right now is infected with, and which spreads globally: consumer capitalism. We must become lifeartists who dance with the energylaws of nature. We must create balance. If you are on a wavecrest then remember the trough of the wave, if you are in the one extreme of a thought-swing, then remember the opposite extreme. Remember that your energy-radiation recirculates and returns to yourself. All this together do, that I consider Avatar to be one the most revolutionary movies I have ever seen. And therefore one of the best. My use of Second Life is also a kind of experimental use of the thought distortion called Confabulation, which New Agers, as we shall see below, seriously are using in complete ignorance (see my book A Dictionary of Thought Distortions). The drive to find personal meaning or significance in impersonal or insignificant coincidences (the thought distortion Subjective validation) may be related to the powerful “natural” drive to create stories, narratives that string together bits and pieces of information into a tale. Of course truth matters most of the time, but many of our narratives satisfy us regardless of their accuracy. This tendency to connect things and create plausible narratives out of partially fictious items is called Confabulation. A confabulation is a fantasy that has unconsciously replaced events in memory. A confabulation may be based partly on fact or be a complete construction of the imagination. The term is often used to decribe the “memories” of mentally ill persons, memories of alien abduction, and false memories induced by careless therapists or interviewers (see my article Regression psychotherapies). Have you ever told a story that you embellished by putting yourself at the center when you knew that you weren´t even there? Or have you ever been absolutely sure you remembered something correctly, only to be shown incontrovertible evidence that your memory was wrong? No, of course not. But you probably know or have heard of somebody else who juiced up a story with made-up details or whose confidence in his memory was shown to be undeserved by evidence that his memory was false. In my book A Portrait of a Lifeartist Confabulation is a central issue. I here show how memories are constructed by all of us and that the construction is a mixture of fact and fiction. Confabulation is an unconscious process of creating a narrative that is believed to be true by the narrator but is demonstrably false. Young Earth creationists (YECs) provide an excellent example of Confabulation mixed with the thought distortion Motivated reasoning. To maintain their position, YECs must reject nearly all science and confabulate new laws of nature and rules of logic and evidence, and subject themselves to ridicule for their willful ignorance and irrational adherence to the myths of an ancient, pre-scientific people. The same we see within the postmodern intellectualism on Universities, which therefore justifies the tendency within Management theory and New Age to confabulate stories which are not true (see my article Constructivism: the postmodern intellectualism behind New Age and the self-help industry). So, in our time with the spreading of subjectivism and relativism - and therefore the thought distortion Magical thinking - we are seeing how Confabulation somehow gets a justification. There is in fact - as I claim in my article The Matrix Conspiracy - a New World Order emerging: the world of Alternative History, Alternative Physics, Alternative Medicine and, ultimately, Alternative Reality. The thought distortion Communal reinforcement is a social phenomenon in which a concept or idea is repeatedly asserted in a community, regardless of whether sufficient evidence has been presented to support it. Over time, the concept or idea is reinforced to become a strong belief in many people´s minds, and may be regarded by the members of the community as fact. Often, the concept or idea may be further reinforced by publications in the mass media, books, or other means of communication. There is no doubt about that The Matrix Conspiracy (which is a strong advocate for the use of hypnosis and hypnotherapy) will be made propaganda for through mass media phenomena such as Transmedia Storytelling, Alternate Reality Games (for example The Blair Witch Project), Viral Marketing/Internet Hoaxes and Collaborative Fiction. The phrase “millions of people can´t all be wrong” is indicative of the common tendency to accept a communally reinforced idea without question, which often aid in the widespread acceptance of urban legends, myths, and rumors. The new New Age product called the WingMakers Project is an attempt to create an alternative history. It is not directly an example of Confabulation, since the creators of the website hardly believe their story to be true, but it will certainly create confabulation in others (see my article Time Travel and the Fascism of the WingMakers Project). Alternative history or alternate history is a genre of fiction consisting of stories that are set in worlds in which history has diverged from the actual history of the world. Since the 1950s this type of fiction has to a large extent merged with science fictional tropes involving cross-time travel between alternate histories or psychic awareness of the existence of “our” universe by the people in another; or ordinary voyaging uptime (into the past) or downtime (into the future) that results in history splitting into two or more time-lines. WingMakers is also a so-called secret history. A secret history (or shadow history) is a revisionist interpretation of either fictional or real (or known) history, which is claimed to have been deliberately suppressed, forgotten, or ignored by established scholars. Originally, secret histories were designed as non-fictional, revealing or claiming to reveal the truth behind the “spin”. Today we see how secret history sometimes is used in a long-running science fiction or fantasy universe to preserve continuity with the present by reconciling paranormal, anachronistic, or otherwise notable but unrecorded events with what actually happened in known history; for instance in the fictional time travel theories. The WingMakers story combines this with the urban legend and alternate history from the Ong´s Hat myth. Though the WingMakers website tries to avoid critique by saying it is a modern mythology (where urban legends are considered as a modern folklore) it also keeps on, precisely as in urban legends, to insinuate that the story is true. It is therefore a piece of pseudohistory. Pseudohistory should also be distinguished from historical fiction and fantasy. Anyone who cites a work of historical fiction as if it were a historical text is a practising pseudohistorian. There are also writers of historical fiction who intentionally falsify and invent ancient history. A technique to do this is to claim to find an ancient document and publishing it in order to express one´ s own ideas. An example is The Celestine Prophecy. A variation on this theme is to claim that one is channeling a book from some ancient being, e.g, The Urantia Book, Bringers of the Dawn, and A Course in Miracles (see my article Paranormal phenomena seen in Connection with Channeling). New Age is permeated with references to vibrations and energy, advices to avoid the negative (you can tell good people by their eyes), stop doubting, follow your intuitions and premonitions, flow with coincidences, believe in the purposiveness of everything, join thousands of others on the quest, turn into your feelings and evolve to a higher plane. Follow your intuitions and dreams as you go through your spiritual evolution. Fact or fiction, it doesn´t matter. Truth is what you make it. Life´s too short and too complicated to deal with reality. Make your own reality. This New Age subjectivism and relativism encourage people to believe that reality is whatever you want it to be. The line between fact and fiction gets blurry and obscured. Subjectivism shuts down people´s critical faculties, making them suggestible for any Ideology. It involves making people quit thinking critically in order to open them up to thinking Magical about that Subjective validation and Communal reinforcement lead to bliss. Hypnosis is in New Age directly used as a means for inducing in people certain worldviews (see my article Hypnosis, Hypnotherapy and the Art of Self-deception). 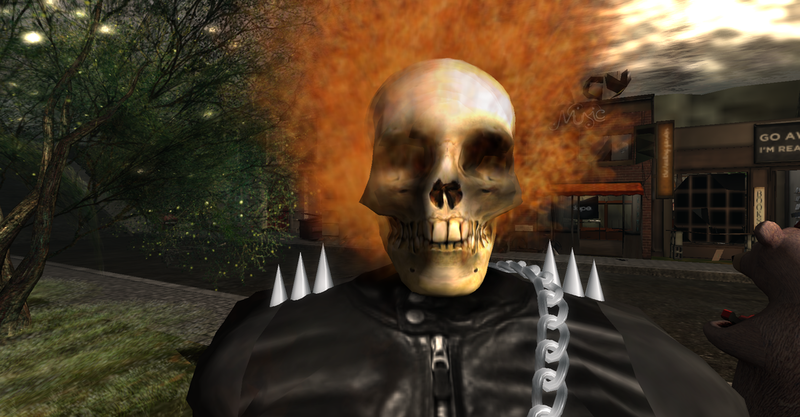 Anyway, my experimental use of Confabulation in Second Life is of course based on an attempt to help people to detach from its control, and to learn about what I have explained in this article. If you want to arrange philosophical counseling and/or philosophical cafés with me in Second Life, you´ll have to contact me on my profile there. Through our Avatars we can either use text chat or voice chat (for voice chat you´ll need to set up a headset or speakers and a microphone. Using a headset avoids annoying echoes of your own voice). Click here for Second Life Quick Start Guide. If you are seeking philosophical counseling and/or cafés with me, you must be clarified in your relationship with me as a counselor, as well as with my teaching and my critique of New Age and Self-help, which I use in my counseling. Concerning Second Life you must of course also, as me, think that this is a funny and interesting way of interacting. Remember: all my services are based on Gift Economy which basically means they are a free service.